CNL is Canada’s premier nuclear science and technology organization and the largest national laboratory. CNL is a world leader in developing peaceful and innovative applications from nuclear technology through its expertise in physics, metallurgy, chemistry, biology and engineering. TRIUMF is one of the world’s leading subatomic physics laboratories. It brings together dedicated physicists and interdisciplinary talent, sophisticated technical resources, and commercial partners in a way that has established the laboratory as a global model of success. Its large user community is composed of international teams of scientists, post-doctoral fellows, and graduate and undergraduate students. Further to its range of resins TrisKem also provides selective chromatography paper (DGA Sheets) for quality control of radionuclides and generator effluents (Ra-223, Ac-225, Pb-212, Ga-68,…). TrisKem places strong focus on the development of new resins and separation methods to meet your separation needs. Founded in 2016, MedTech startup Alpha Tau Medical is focusing on R&D and commercialization of its breakthrough cancer treatment, Alpha DaRT, originally invented in 2003 by Prof. Itzhak Kelson and Prof. Yona Keisari at Tel Aviv University. Alpha DaRT (Diffusing Alpha-emitters Radiation Therapy) enables the use of alpha radiation for the treatment of solid tumors by inserting into the tumor Radium-224-impregnated seeds. The company collaborates with key cancer physicians and researchers worldwide to investigate the Alpha DaRT as a treatment for various indications. Clinical trials showed a 100% partial and 70% complete response rate in SCC tumors. ITM Isotopen Technologien Munchen AG is a privately held group of companies dedicated to the development, production and global supply of innovative radionuclides and radiopharmaceuticals for targeted cancer diagnostics and therapies. Furthermore, ITM is developing a proprietary portfolio and growing pipeline. ITM’s main objectives are to significantly improve outcomes and quality of life for cancer patients while at the same time reducing side-effects and improving health economics through a new generation of Targeted Radionuclide Therapies in Precision Oncology. AI4R , French high tech company from Nantes, offers a very high performance system in real time digital autoradiography. Thanks to its instrument with innovative technology, the BeaQuant, all the range of radioisotopes is available to realize a stunning picture of the labelling. The very high spatial resolution of 20µm allows a perfect image reconstruction. Moreover, with the radioactive counting mode, the quantification is directly accessible , transforming the picture in a direct representation of the quantification. The very high sensitivity reduces drastically the exposure time and increases the power of seeing very weak labelling. Sumitomo has been developing accelerator technologies for more than 40 years and such technologies are utilized for both diagnosis (radio tracer) and treatment (particle therapy) in medical field. Since the first PET cyclotron was delivered to National Kyoto University in 1981, more than 200 units of PET cyclotron were delivered in Japan, China and other Asian leading institutions. Sumitomo supplies not only cyclotron but also synthesis modules, peripheral equipment, etc. and propose total solution for PET radio-tracer production facility (incl. facility design, setting up the system, staff training, after service, etc.) in compliance with quality requirement, such as GMP. Fusion Pharmaceuticals is a biopharmaceutical company located in Hamilton, Ontario, Canada focused on becoming the leader in the targeted alpha therapy field. Fusion will exploit its unique expertise in linking medical isotopes to targeting molecules to create highly effective therapeutics. In addition to its lead program, FPX-01 with a clinical trial planned for early 2019, Fusion is expanding its pipeline of products through a proprietary protein discovery platform, in-licensing targeting molecules, and forming new strategic partnerships. At Pacer Air Freight, we help our clients deliver outstanding patient care. Our 24/7 availability, dedicated customer service and network of qualified partners means that we can deliver any class of dangerous goods and temperature-controlled shipments to any destination around the globe. Visit our booth to learn how you can reduce the risk and complexity when transporting radioactive medicine across borders. Our team of DG-certified experts are looking forward to meeting you! The U.S. Department of Energy Isotope Program (DOE IP), managed by the Office of Nuclear Physics in the Office of Science, supports the production and distribution of critical radioactive and stable isotopes that are vital for energy, medical, and national security applications, as well as basic research. The DOE IP coordinates isotope production at a suite of university, national laboratory, and commercial accelerator and reactor facilities throughout the Nation and maintains essential infrastructure across the DOE national laboratory system. The program also conducts R&D on new and improved isotope production and processing techniques to promote a reliable domestic supply. Since its inception in 2004, Women in Nuclear (WiN) Canada has promoted the role of women in the Canadian nuclear and radiation related industries. 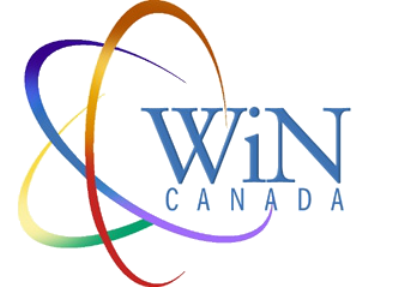 WiN Canada brings women together into a supportive environment to provide opportunities to succeed through mentoring, networking, and personal development initiatives. NorthStar Medical Technologies is committed to providing reliable radioisotope supply solutions for patient needs and clinical research, including commercial-scale Actinium-225 production for TAT applications. NorthStar’s technologies include non-uranium domestic molybdenum-99 production methods, separation chemistry systems, sterilization systems and a technology platform for potential expanded product offerings in diagnostic and therapeutic markets. The Sylvia Fedoruk Canadian Centre for Nuclear Innovation Inc. (Fedoruk Centre), a wholly owned subsidiary of the University of Saskatchewan, incorporated under the federal Not-for-Profit Corporations Act, whose purpose is to place Saskatchewan among global leaders of nuclear research, development and training, through investment in partnerships with academia and industry for maximum societal and economic benefit. The Fedoruk Centre operates the Saskatchewan Centre for Cyclotron Sciences (SCCS) as a user facility to support innovation in nuclear imaging and therapeutics, and as a Health-Canada qualified centre to manufacture radiopharmaceuticals. The SCCS is outfitted with state-of-the-art production clean rooms, quality control laboratories, and packaging rooms all compliant with good manufacturing practices. The SCCS Innovation Wing contains well-equipped research laboratories to enable innovation at the leading edge of nuclear imaging and therapy across the life sciences including plant, human and animal health. Advanced Cyclotron Systems, Inc. (ACSI) is a world leader in the design and manufacturing of cyclotron systems. With over 25 years of experience and more than 50 cyclotron systems installed, ACSI can provide a wide range of equipment and services worldwide. ACSI cyclotrons are used for the commercial production and distribution of PET and SPECT nuclides by internationally recognized companies and leading universities and research facilities. ACSI cyclotrons are designed, manufactured, and assembled in Richmond, BC, Canada. ACSI offers a full spectrum of cyclotron systems ranging from PET cyclotrons to medium and high energy accelerators. All ACSI manufactured cyclotrons have variable energy and employ external ion source technology, offering the highest beam current output available on the market. BWX Technologies, Inc. (BWXT) seeks to meet the demand for critical diagnostic imaging radionuclides, combining our innovative resources with strategic relationships. Our entrance into the radiopharmaceutical industry began with the announcement of our patent-pending technology for producing molybdenum-99. To better support this technology, we acquired Sotera Health’s Nordion medical isotope business - a leading global manufacturer and supplier of critical medical isotopes and radiopharmaceuticals for research, diagnostic and therapeutic uses. This strategic acquisition adds 40 years of industry experience and a world-class product line to our existing capabilities and intellectual property. With BWXT at the forefront of medical isotope and radiopharmaceutical production, the high-level service and commitment previously provided to our customer base remains the same. Moving forward, BWXT will rely on innovation and infrastructure to create new products. NPO, a wholly owned subsidiary founded in 1976, is a truly global supplier of standard and custom-designed radiation shielding. With offices in suburban Chicago and Rennes, France, and a network of well-connected distributors around the world, we provide comprehensive customer service and technical support globally. The CNIC is a coalition of science, healthcare and nuclear sector organizations to ensure Canada remains a world leader in the production of life saving Isotopes by bringing awareness and supporting long-term policies at the domestic and international level that will save countless lives and support health care innovation for decades to come. isoSolutions Marketing & Management Inc.
isoSolutions provides a one-stop shopping service as well as technical support worldwide for nuclear medicine products. We work with a variety of reliable suppliers to provide Radiochemicals, Stable isotopes, Labeled compounds, Sealed sources, Synthesizers (automated labeling modules for development work or preprogrammed syntheses), a complete line of Quality Control instruments, and shielding products. We provide a complete range of Radioisotopes, including a Ga-68 Generator, Lu-177, Y-90, Cu-64, Ac-225, I-131, I-125 and cyclotron products. Discover GMP radiopharmaceuticals production solutions. Based on longstanding expertise, IBA RadioPharma Solutions supports hospitals and radiopharmaceutical distribution centers with their in-house radioisotopes production by providing them global solutions, from project design to the operation of their facility. In addition to high-quality technology production equipment, IBA has developed in-depth experience in setting up GMP radiopharmaceuticals production centers.